“Brunch is a combination of breakfast and lunch eaten during the week usually in the late morning but it can extend to as late as 3PM on Sundays” Says Wikipedia. 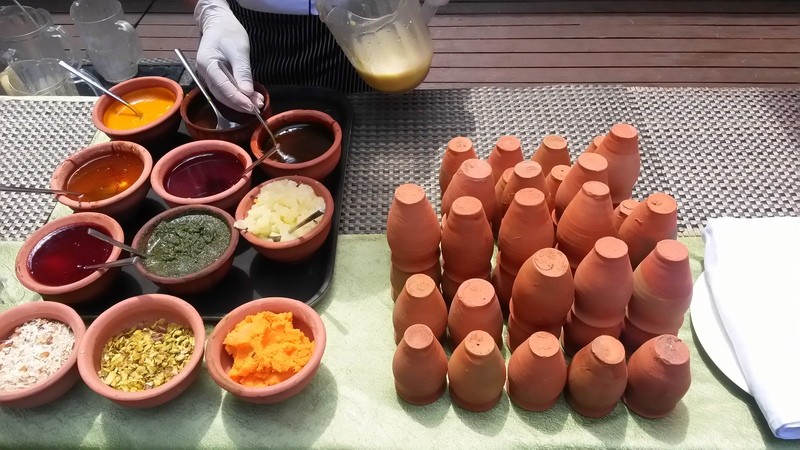 Considering its English origins, it was in my opinion, till some time back was a meal offering cereals, eggs, breakfast rolls, salads, mains and desserts; but now the brunch barring some star hotels do not feature any breakfast items. These days it is more synonymous with a lazed out lunch with timings extended to 1600 hrs in most cases and where fancy cocktails and wines are an inclusive feature. 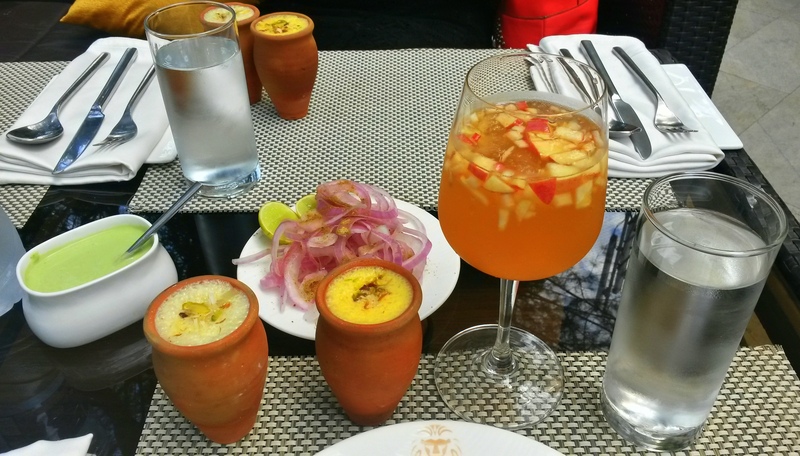 My brunch today was one such lazed-out one at the Punjab Grill, a modern Indian restaurant in Juhu. This was my second visit at their Juhu outlet; first one was for their beautiful winter menu promotion a couple of months back. From that evening of a glamorous candle lit setting in the chill of January to a beautiful idyllic setting in the warm and breezy afternoon of March today; the outdoor setting is a huge plus (till another fortnight, the weather will kill it). What does the Brunch include? 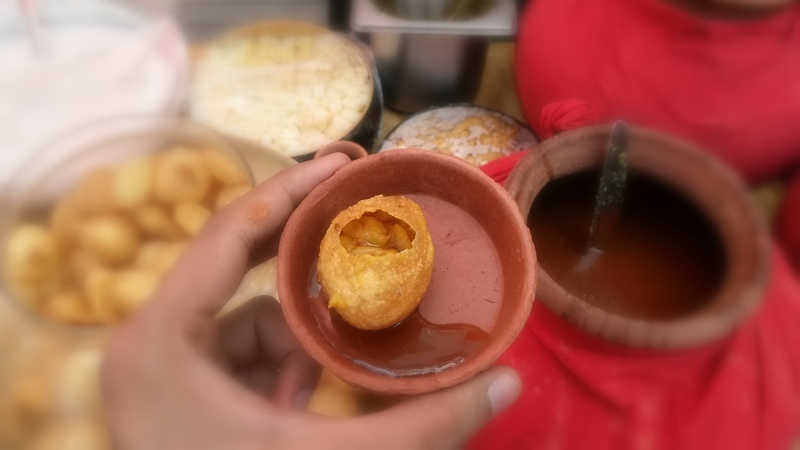 Chaat items like Dhai Bhalla, Palak ki chaat, Pani puris etc were tastefully made and set up my appetite. 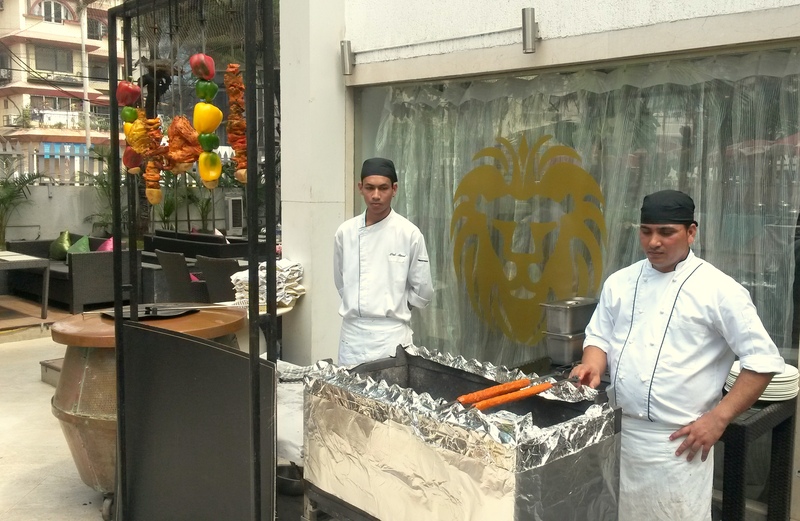 The tandoori starters of Subz Seek, tandoori veggies and Paneer were all smoked up and rich. The main course was pretty commonplace and missed the wow element of the brand. A creamy but lack of spice in the black dal was disappointing and the same was with the paneer makhani. The veggie biryani was done with long grains of very fragrant basmati. All of it was washed down with a zesty red wine sangria, I must say I was pretty impressed with it. 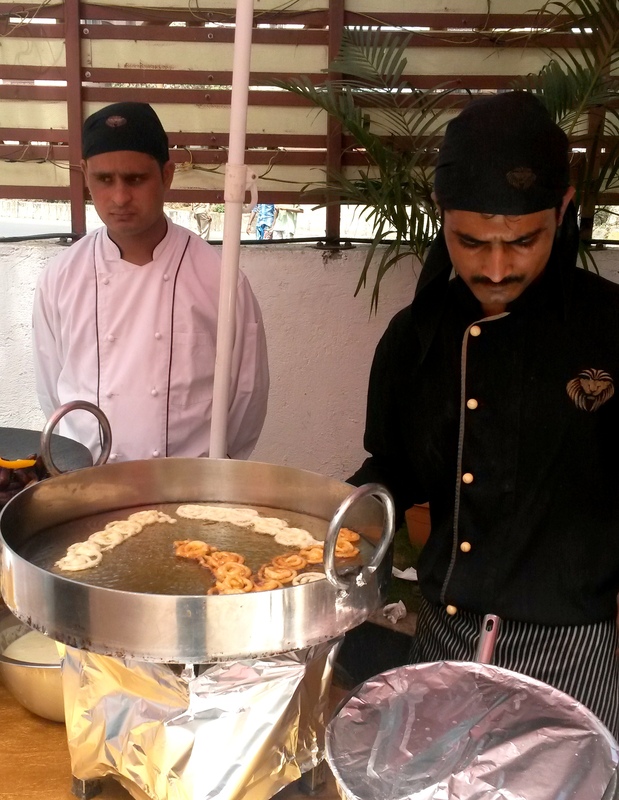 It was time for desserts, the aroma of fresh jalebi had filled the promenade outside the restaurant, and I had made my mind to gobble quite a few before even entering the place. 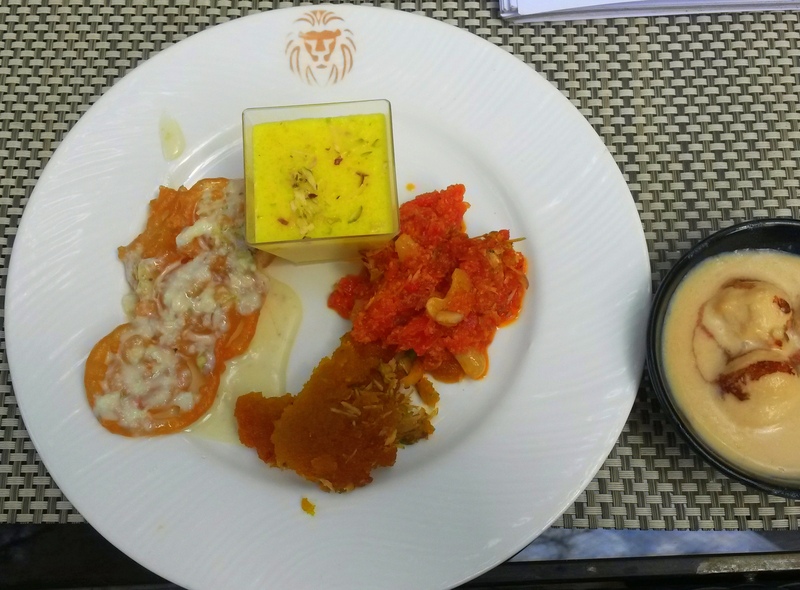 Jalebi and rabdi and kesar firni were brilliant, the Gajrela and Moong dal halwa good and the innovative rasmalai in toffee was a tad too sweet, couldn’t go beyond a lick!! 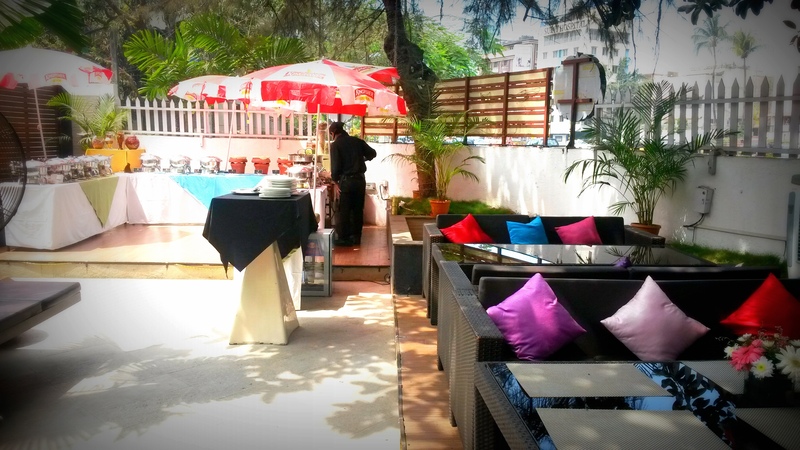 Overall a great buffet with good choice, good food and comes at a great price. Don’t forget the unlimited wines and beers!! !